Strong, long-wearing Outsoles give you added protection for your work boots. With heat resistance to 300°C, safety boots with Steel Blue’s Nitrile Outsole are great for working in very hot conditions (such as remote mine sites or on asphalt and steel plates) or situations where the sole of your work boots may come into contact with hot objects (welding). The Nitrile Outsole is made from a type of higher heat resistant rubber and forms the outer layer of your work boots. At these high temperatures, there’s a 60-second threshold before it reaches melting point. With superior resistance to abrasion and excellent tear strength, the slip resistant capabilities of Steel Blue’s Nitrile Outsole actually improves with wear. It’s also highly resistant to oil, mild acids and alkalis. As if that wasn’t enough, the Nitrile Outsole helps reduce the build-up of excess static electricity and is chemical resistant. 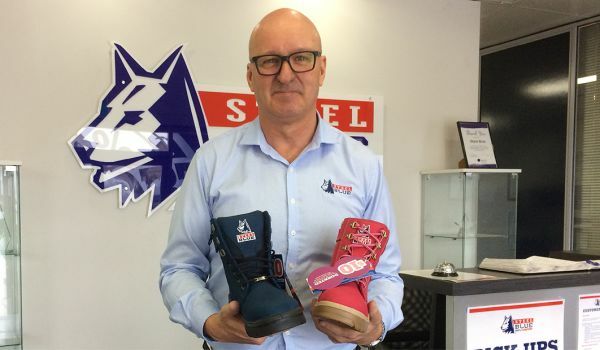 Steel Blue’s Non-Safety range of work boots that feature our Nitrile Outsole also comply with Australian and New Zealand Safety Footwear Standard AS/NZS 2210.5, International and European Safety Footwear Certification EN ISO 20347, and American Safety Footwear Certification ASTM F2892. 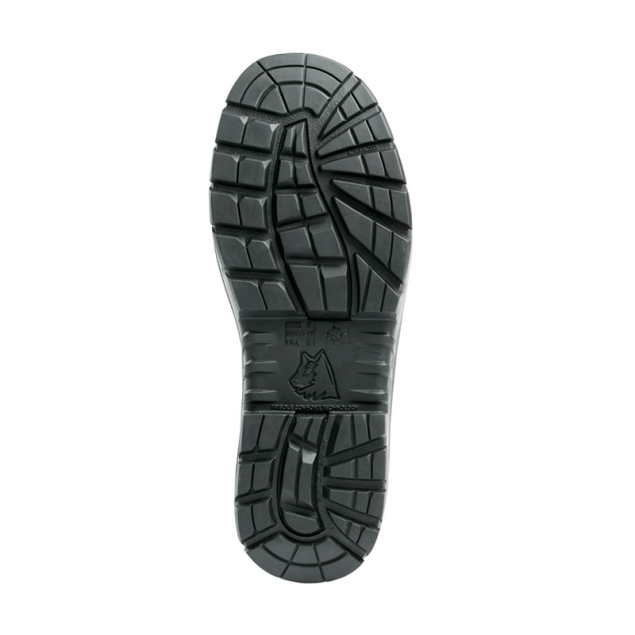 Our Thermoplastic Urethane (TPU) Outsole is the all-rounder, suiting most work environments. The main difference from the Nitrile Outsole is that the TPU Outsole is more lightweight and is heat resistant to 130ºC. 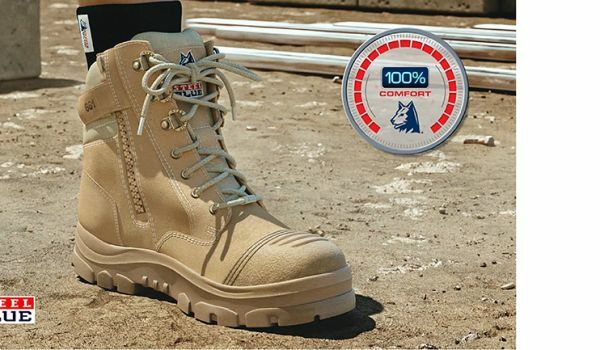 Most of our work boots come standard with a TPU Outsole. It’s very durable, providing a high tolerance against cuts, abrasion, splitting and cracking, as well as a high resistance to most oils and chemicals. 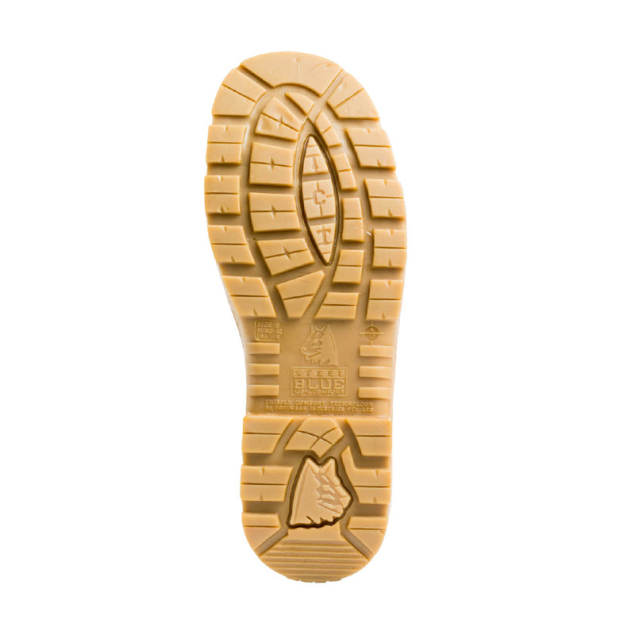 The TPU Outsole also provides slip resistance for uneven and slippery surfaces. Steel Blue’s Non-Safety work boots that feature our TPU Outsole also comply with Australian and New Zealand Safety Footwear Standard AS/NZS 2210.5, International and European Safety Footwear Certification EN ISO 20347, and American Safety Footwear Certification ASTM F2892. If you don’t need extreme heat protection, this is the lightweight Outsole you need for your work boots.